In this post, you will find everything there is to know about the Software updates for Graceful Explosion Machine on the Nintendo Switch (originally released on April 6th 2017 in Japan, Europe and North America). 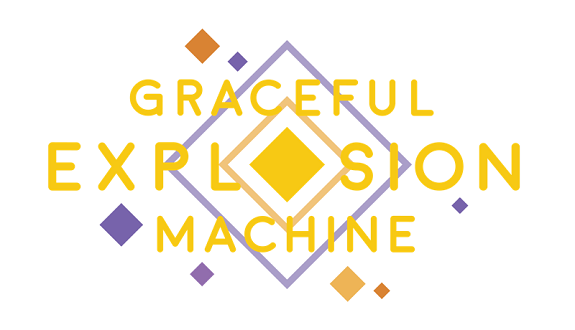 How to download updates for Graceful Explosion Machine for the Nintendo Switch? Additional notes: this update focuses on Quality of Life features. The “Upload Score Later” feature allows you to save your score, so that you upload it later, once you have access to an internet connection. This is pretty useful for players who like to play on the go, where they generally don’t have such a connection at hand.From now on, when you end up on the Score Screen, simply chose “Later” to save your score. After that, once you’re online, select “Upload Scores” from the Main Menu (by pressing the X button): this will automatically upload all the pending scores. Something happens and the upload fails? No problem: you can retry later. With this update, the developers also added an option to reduce or disable the Screenshake effect, which should help players suffering from motion sickness.